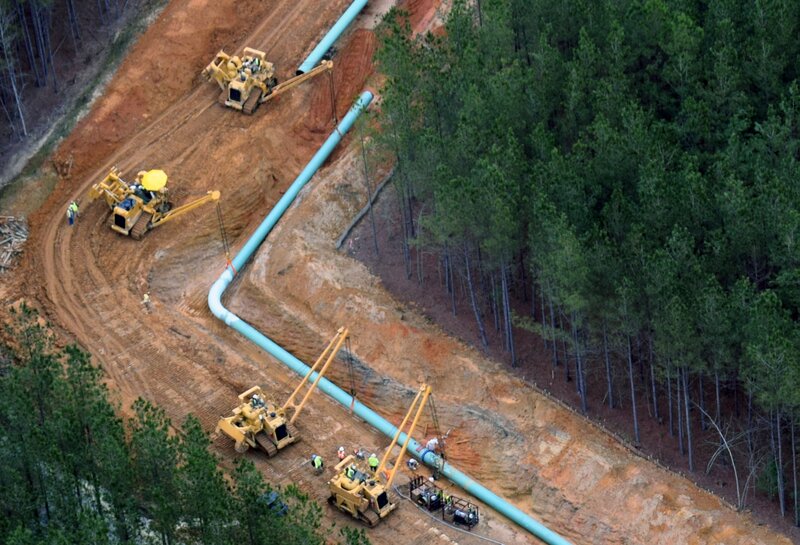 Here’s Dominion’s approach to ground stabilization: putting new pipe into the ground on January 15, 2019. Note the right angle bend, something to remember when Dominion tells a landowner the ACP can’t divert around some important feature of property. Thanks to the Pamlico-Tar Riverkeeper [NC] for the photo. This entry was posted in Construction, FERC on January 17, 2019 by Ellen Bouton.